What factors lead to the closure of Ensogo? 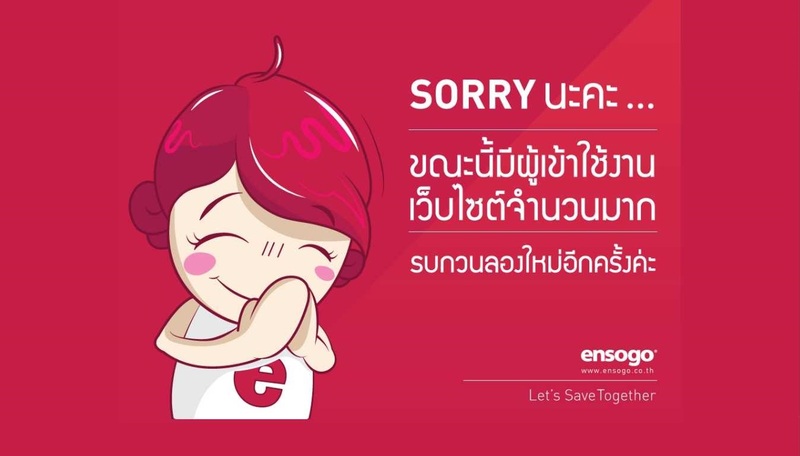 Ensogo’s closure sounds the horn for the beginning of an e-commerce battle: One that will weed out most existing players from the battlefield. Founded in 2010, Ensogo was one of the most promising e-commerce startups around Southeast Asia. Accompanied with increasing popularity and stable financials, the agile and smooth expansion to Philippines and Indonesia further marked its outstanding performance. Everything seemed bright and clear for the regional consolidation of Ensogo. However, no one would ever anticipate that the shining supernovae was actually trapped into mire until the debacle went out of their control and was disclosed publicly in May this year, due to intentionally delayed payments and abruptly terminated hotlines. The unexpected suspension affects thousands of sellers’ business and buyers’ rights and interests, leaving Ensogo in irrecoverable situation. The once valuable vouchers were just changed into pieces of useless as well as unwanted paper. The causation behind this is complicated. Nevertheless, the factors leading to the closure can be roughly broken down into three distinctions —the essence of discounted deals, the decision of business model pivot and the hasty layoff of employees. With the launch of Groupon in 2008, the service of daily-deal offering brought up the insane trend of group buying into everywhere it stepped on. Theoretically, this service benefits both shoppers and sellers, creating a win-win situation. For customers, they could get a significant amount of discount on expensive products or services. For sellers, on the other hand, the annoying problem of keeping excess inventory or old-fashioned products would be solved, with additional revenue and brand promotion concurrently. However, a Rice University study conducted in 2011 revealed a warning signal attached to this business model. The researcher found that this model was potentially harmful to a business because those shoppers rarely become regular and loyal customers. Seldom did they make a full-price purchase after using vouchers. Simply put, it only created one-time transactions for business. The discounts neither burgeoned customer base nor augmented any profit. Therefore, less and less merchants were willing to use the model. It wasn’t until September 2015 did the negative effects impact Groupon. It was reported that the giant cut 1,100 jobs and exit seven countries in order to stem continuously financial deficit. More resources indicated the augmented pieces of complaint about terrible experience in using Groupon greatly influenced Groupon business. Undoubtedly, the scenario is similar to what Ensogo is experiencing in 2016 under a much worse circumstance. The adoption of B2C model was not a good idea for Ensogo. It is a field characterised by capital-intensive investment, winner-take-all outcome and long-term war of attrition. On top of that, major powers were already existing, either local or global one, occupying this region. All of them are supported by plenty of silver bullets and have accumulated a great number of customer base and incomparable infrastructure. Even though Ensogo has the backup from Chinese discounted retail giant Vipshop, the decision seemed too reckless and unwise. A notable example is Rocket-Internet-backed Lazada, which becomes much more powerful after the buyout from Alibaba. Clearly, Ensogo overestimated its capability in the transformation process, and underestimated the opportunity cost and potential loss in the transition from a service middleman to a marketplace platform. More importantly, Ensogo should have adopted a blue ocean strategy —discover niche market and avoid potential competition— to facilitate and augment corporate growth. Moreover, the sellers that they targetted in the new business model exacerbate the situation. Ensogo’s B2C marketplace was focussed only on Chinese and Korean sellers due to their ability to deliver product cross over 50 countries. Nevertheless, this model couldn’t differentiate Ensogo from other e-commerce players as they have already involved Korean and Chinese sellers into their platform to cater various and diverse demands. As such, this strategy somehow weakened the substantial collaboration and connection with regional merchants it has developed in Southeast Asia, rebounding on both parties. Customer service plays an indispensable and integral role in e-commerce business. The quality of customer service and service attitude, whether to shoppers or sellers, determine if a company could win the heart and support of local people. It is especially applicable in Southeast Asia due to the region’s distinctive shopping habit: customers tend to make a phone call to check before placing an order. However, the way Ensogo treats shoppers and buyers were not appealing, let alone friendly, during the time of pivoting. The unanticipated disemployment across the region and inappropriate recourse in handling customer complaint irritated numerous merchants. Hence, it further drew the public’s attention to this deteriorating reputation. It is understandable that by reconstructing the labour force, Ensogo tried to accelerate product development and retrench company’s expense at the same time. Unsurprisingly, Ensogo didn’t make the cut. The overwhelming changes and rapid moves just caught off the customers’ guard, becoming the last straw that breaks the camel’s back. In a nutshell, the e-commerce environment in Southeast Asia is becoming much more rigorous and harsher than ever. It is believed that mergers and acquisition are going to be more frequent in the following years. Only those leading and those with deep-pocket players could have the opportunity to remain behind. The shutdown of Ensogo perhaps is the fanfare of the beginning.